It was a day before my race and I had emailed coach Julie Young for some advice for race day. I was trying to strategically and mentally prepare for the toughest part of a triathlon for me…the RUN! I was thinking if I could mentally have a plan I could run faster. Julie called me that day and told me that the training I had done was all in place and I should just be PRESENT for the race. Don’t think about anything else but just giving it all you have and truly being there in every moment. I, so eager to do my best listened intently and heard every word she said. However, in my mind I was thinking I think I am always present!! It wasn’t until the 3rd lap of 4 on the bike that I had that AH HA moment. During the first 2 laps I was clued in to my speed and was staying very consistent with my pace. I felt strong and alert. It wasn’t until the 3rd lap that my mind began to wonder. A few minutes must have gone by before I realized and asked myself are you present? I looked down at my speedometer and the answer was very clear. My speed had slowed and I was not present in that moment. A BIG smile came to my face! Coach Julie was RIGHT! I pulled my thoughts back to the present moment on my bike and picked up my speed once again. Throughout the race there were multiple times I had to check myself and ask myself if I were truly there in that moment or was I letting feelings of fatigue draw me away. I was determined to not let fatigue win and to stay there in every moment to push as hard as I could. I ended up taking 1st place in my age division. It was Julie Young advising me to stay present that brought me a victory! Hiring Julie as my coach was the best decision I have ever had made. The knowledge and skill she has is so tuned into what I need as an athlete and she always has words of wisdom that resonate in my soul! Thank You Julie Young! You are the best! There are bunches of training race rides (River Rides, Coffee Republic, Folsom Bike, Drop Ride, Wheelmen races, etc), which i think are invaluable training tools for leg speed, and dig-deep high intensity efforts. But I am hanging on by the skin of my chin in these training race rides – with not even a chance to throw down a well-timed race tactic. Breaking Barrier provides just that venue for women to get a high intensity workout and take advantage of the opportunity to gain race tactic experience. As a successful racer – you must have the basic requisite of fitness to be a player, but ultimate success is knowing how and when to conserve in order to use “it” when the small voice of intuition says, “Go!” You learn by trying and this venue provides the perfect opportunity to race with clever, intuitive abandon and leave it all out on the road. Looking forward to Taking It To the Streets coaching the Sacramento Team City Juniors in a Mock Race. Its a great opportunity to share my experience and perspective on all of the ingredients that contribute to successful racing. It starts with the bike fit for efficiency and handling, and consistently following a well-structured training plan. But fitness is only the very basic requisite that allows us to be a player in the race – its ultimately positioning near the front; conserving when possible in order to use “it” when it counts; reading the race and learning better what to expect; and employing intuitive tactics – for me this means listening and acting when the small voice says “go”, to go without hesitation or doubt. For this clinic we have recruited some of the area’s women racers to act as mentors, and help create a more dynamic challenging mock race feel for the juniors. Mentors are sure to gain as much knowledge and experience as the juniors. We create teams of four. For the initial part of the race – we have the teams huddle-up and devise their team plan. We race a one lap race, each lap the team designates one leader. They as a team will figure out how to best help the designated leader, based on his or her strength, win the race. Each person on the team will have the opportunity to be the designated team leader. After each lap – we regroup and critique tactics as well as answer questions. During the second part of the race – two sprint lines are marked on the course, and the teams will practice giving lead outs, again rotating the designated sprinter. 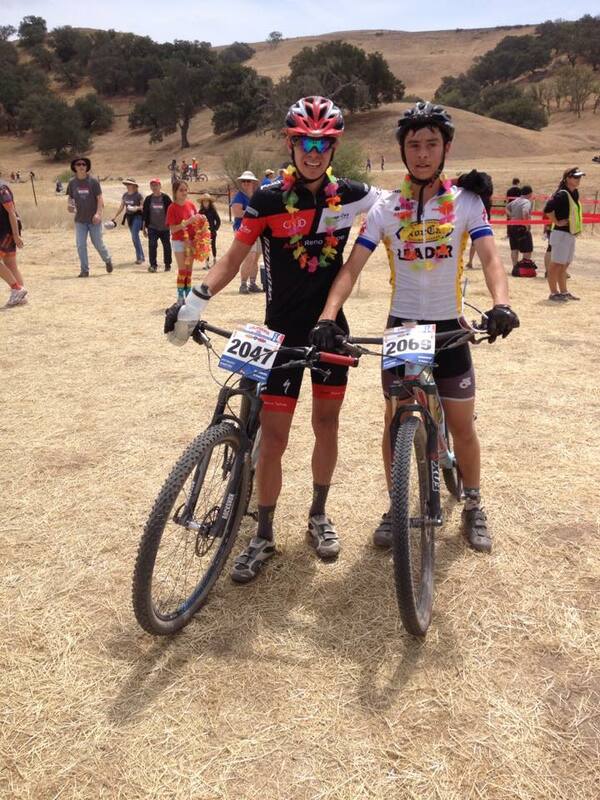 Contributed by Trevor DeRuise, Director of the Silver Sage sponsored, Reno-Tahoe Junior Cycling Team. It’s hard to believe it’s already June and the 2015 season for our Reno-Tahoe Junior Cycling Race Development athletes has already reached the halfway point. Still, after dozens of race starts, hundreds of intervals, and thousands of miles ridden; the hardest part of training for these young athletes comes right around this time each season when we have them take a short break. While our athletes recover, let’s take a quick look back at the season thus far as well as a look forward at what’s to come. RTJC high school riders accomplished a lot of ‘firsts’ for not only this team, but for the entire state of Nevada with their success over the hill in the NorCal High School Mountain Bike League. As the largest youth mountain bike league in the world, we are very fortunate to have the opportunity to contest these races as a composite team. While the results were solid in 2014, the results were astonishing this year. Despite being one of, if not the smallest team in the league, RTJC finished out the year in 3rd place in the overall team standings and even has a State Champion on the roster now, as Tate Meintjes took the biggest win of his young career to earn the title at the Championship race in Southern California. Our high school athletes aren’t the only ones racking up the results, though. 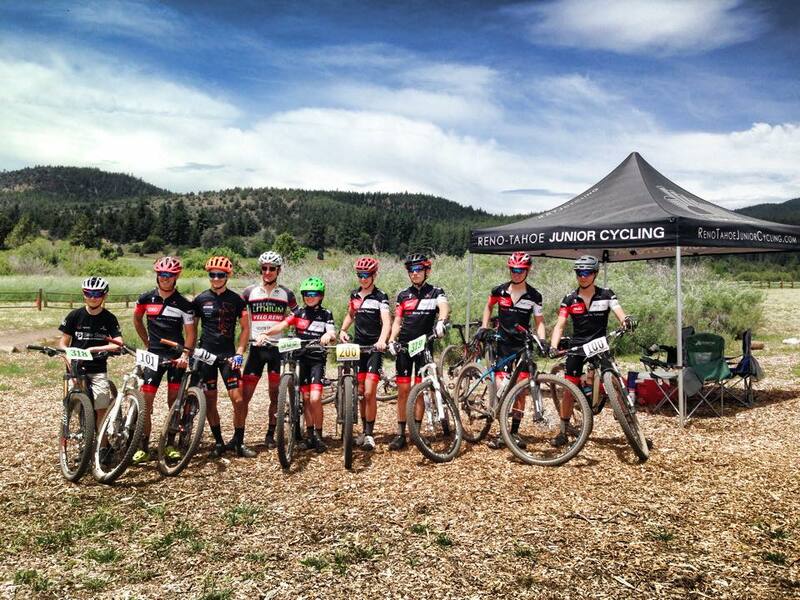 The entire Race Development team as well as our club riders have been contesting the Sierra Cup Mtb Regional Championship races around the Reno-Tahoe area in order to rack up the USAC points to aid in their start positions at Nationals in Mammoth later this summer. We’ve seen numerous podium sweeps thus far, but even more impressive have been the young club riders giving their first ever races a try. In my entire career, I’ve never seen the junior categories as big as they are right now at our local events. Looking forward, all of our athletes have their eyes set on National Championships this July in Mammoth, CA. For many, this will be their first ever National Championship event and the motivation amongst riders has never been higher. I know I speak for all RTJC riders when I say I’m looking forward to getting back to work with our athletes, and helping our community’s young cycling talent accomplish their goals. RAAM – Am I Really Ready? 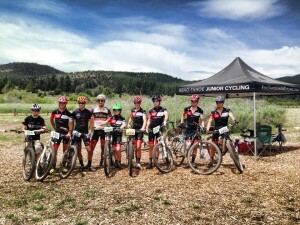 Contributed by Silver Sage-powered Bike Like A Girl RAAM team member, Andrea Williams. entire ride in spite of the head winds. Thank you Julie, for making sure we are ready for the race of a lifetime! http://silversagecenter.com/wp-content/uploads/2015/06/FullSizeRender1.jpg 960 1280 julieyoung http://silversagecenter.com/wp-content/uploads/2014/06/SS_14171-Logo-Development-SportsLab-Horz-header-300x83.png julieyoung2015-06-03 07:13:472015-06-03 07:13:47RAAM - Am I Really Ready?